Dr. Cochran received his undergraduate education at Trinity College (Connecticut), graduating with a Bachelor of Arts degree in Music and History, with honors in Music. His graduate study was completed at Yale University School of Music, where he held a number of conducting positions including Director of the Yale Freshman Chorus. As valedictorian of his Master of Music class, he went on to earn the Doctorate of Musical Arts degree in choral conducting. While at Yale, Dr. Cochran studied under Marguerite Brooks and Fenno Heath. He received further training from Robert Shaw, Sir David Willcocks, and from Helmuth Rilling as a master-class conductor at the Oregon Bach Festival, where he directed both the Festival Choir and Orchestra and the Kyoto Bach Choir from Japan. 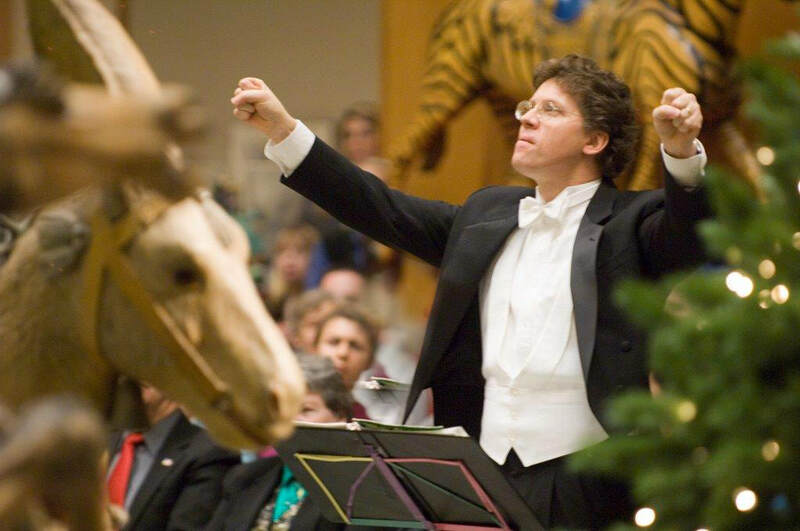 Selected as a conducting fellow at the Chorus America/Chicago Symphony Association Conducting Workshop, he led the Civic Orchestra of Chicago and members of the Chicago Symphony Chorus under the tutelage of Stephen Cleobury, Fiora Contino, and Gustav Meier. Studies in composition, orchestration and arranging were taken with Maury Yeston, Willie Ruff, Gerald Moshell, and Fenno Heath. Dr. Cochran is a published composer with the E.C. Schirmer Music Company (Boston). Symphonic Orchestra (Czeck Republic). The Chorus also has had the privilege of sharing the stage with a range of celebrity artists that have included Jerome Hines, Judy Collins, and the Chieftains. Under his baton the Anchorage Concert Chorus has performed many major works. A partial list includes Orff's "Carmina Burana", Bach "Mass in B-Minor", Benjamin Brittan's "War Requiem", Ralph Vaughan Williams "Dona Nobis Pacem", Bach's "Singet Dem Herrn", Arvo Part's "Nuc Dimittis", and Mozart's "Grand Mass in C Minor". The Chorus has also presented "Amahl and the Night Visitors", a semi-staged version of Stephen Sondheim's "Sweeney Todd - the Demon Barber of Fleet Street", and just last year the Alaska Premier of Leonard Bernstein's "Mass- a Theatre Piece for Singers, Players and Dancers." The season always includes the ever popular "Family Holiday Pops" with an eclectic mix of old and new holiday fare; generally re-orchestrated by Dr. Cochran much to the joy of the Chorus, orchestra and audience. In addition to his appointment as conductor of the 160-voice Concert Chorus and its 40-voice Chorale ensemble, Dr. Cochran is currently professor of Voice/Choral Studies at the University of Alaska Anchorage. He has extensive experience at the secondary level as well, holding teaching positions at public and private schools in Alaska and Connecticut, including Grace Christian School, Service High School, Dimond High School and the Canterbury School (Connecticut). Over the course of his twenty-year professional career, Dr. Cochran has appeared as music director, accompanist, adjudicator, singer, and actor for various opera, theatre, choral, and church organizations throughout the United States. His professional work in Anchorage is nicely complemented by a busy home life that includes his wife, Lorna, and their children: Hailey & Stephanie, Madison, Drew, and August.